Address: Ravnåsveien 3, 1254 Holmlia. Thursday: Bible Study/Faith clinic 18:00 - 20.00 (Joined with RCCG Prayer House in town. Address: Ebbells gate 1, Oslo). Address: Ebbells gata 1, 0183 Oslo sentrum. Pastor in charge: ThankGod Billy Nnu, Contact: +47 9762 8416 . Address: Strømsø menighetshus. Knoffgate 2, 3044 Drammen. Pastor in Charge: Margaret Etokebe, contact: +47 4168 5067 . Friday meeting: 18.00 - 20.00. Night vigil every last Friday of the month - 23.00 pm - 3.00 am. Pastor in charge: Chima Nzeh, Contact: +47 96822488 . Sunday service: 12:00 - 14.00 pm. 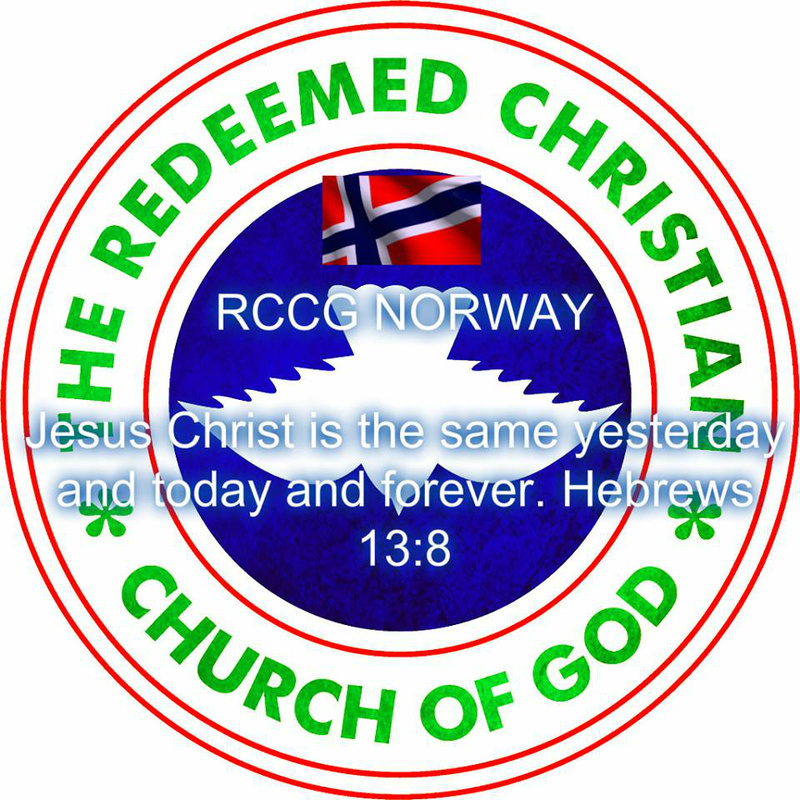 Tuesday: Prayer meeting, 17.30 - 18.30pm, Magnus Barfot gate 3, Bergen. Thursday: Digging Deep, 18.30 - 19.30, Magnus Barfot gate 3, Bergen. Minister in Charge: Deacon Innocent Okoroafor, Contact: +47 40975383 . Assissant: Minister Yomi Faleye, Contact: +47 2830203 . Minister in Charge: Pastor Badina A.I. Contact: +47 46246756 .